The hardworking ladies had already survived the Ballywalter Game and Country Living Fair and this was another opportunity for them to help showcase the best of local food and drink. Naturally, in our case we were looking for any food stands with a Gluten Free connection and we were not disappointed as we learnt about two new Gluten Free outlets! Garlic & Coriander: Louisiana Cajun: Hot and Spicy Tomato: Smokey Barbeque: Mexicano: Lemon & Ginger: Caesar: Ranch: Piri Piri: Rogan Josh: Curry: Sour Cream & Chives: Italiano: Romeo Chilli: Fruits of the Forest. The second Coeliac Friendly outlet we came across was Gardiners G2 Restaurant in Magherafelt Co Derry, owned and run by Sean Owens who was telling us he serves Gluten Free meals on a regular basis. Do you have a favourite Coeliac Friendly restaurant anywhere in Ireland? Are they on our database? If they are, please tell them about us and if not, please do them a favour. Tell them to contact us and we will have them included! 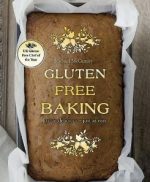 Gluten Free Products – Have You Tried? I have never seen a “FreeFrom” section in any Lidl store but a few days ago my wife brought home some chicken and vegetable soups which were clearly marked “Gluten Free”. They go under the name “heat eat & enjoy”, are made in Ireland for Lidl at Newbridge and tasted fine when we had some for lunch. Worth a try from Lidl. Do you live anywhere near to Glasnevin in Dublin? If so you may be interested in going along to the Honest2Goodness market on a Wednesday from 12 Noon – 7 pm or Saturday from 9.30 am – 4 pm where you will find Therese selling her range of GF goodies. Genius, those well named makers of GF Bread products have introduced two new breakfast bakery products for the GF market – Croissants and Pains au Chocolat. They are now available in your local Tesco. If you have actually seen them or, better still, tried them please send us an email and give us your feedback. Recently, we have been reading some rather negative feedback on the Genius range. Have you had any problems with the products you purchase? Why not let us know. At the start of August we took ourselves off to Kells in Co Kilkenny for a week’s break to recharge our batteries. As Coeliacs, you know how difficult it can be to travel safely and cope with finding Gluten Free food in a strange locality so we were keen to see how we would manage. We set off from Ballynahinch around 10.30 on the Saturday morning, joined the A1 Southbound at Dromore Co Down and 4 hours later we arrived at our accommodation in Kells having passed through just one set of traffic lights! Compared to the old days when one had to pass through every little town and village travelling in Ireland today is a doddle if the object is to move from A to B as quickly as possible! If visiting the towns and villages enroute makes your day then that alternative is always available! We spent a very pleasant week in Kilkenny and the surrounding area and, you’ll be delighted to hear, I have no intention of boring you with our day by day itinerary. However, although we were self-catering, we did eat out on a number of days and managed very well on the GF diet. (1) Rivercourt Hotel Kilkenny – excellent staff, familiar with the Coeliac diet and the food was delicious. (2) Lemongrass Kilkenny– here again the staff know their stuff, they have a separate Gluten Free menu and the food was excellent. (3) Kytelers Inn Kilkenny – the sign on the wall outside advertised that they could cater for different Dietary needs so we tried them one lunch time. Here the range of GF food was rather limited but the staff knew about the Coeliac diet and were very helpful in putting together a suitable meal. (5) Tasty Parlour (Gluten Free Kitchen) Wexford – On our last day we came across Mary O’Hanlon at her market stall in Wexford where she was selling her GF and Wheat Free products. We only bought a couple of items to have with our coffee break but I have no doubt we would have been buying a lot more if we had discovered her at the start of the week. (1) Caulfields Supervalu Loughboy Kilkenny – a wide range of GF food available making self-catering easy. (2) Shortiswong Deli John Street Kilkenny – lots of GF food available. On our way home we stopped at the Lusk Service Area Northbound and this time Tina found a number of GF items in the Costa including a packet of two very tasty GF Bakewell Tarts made especially for Costa. Full marks there! That’s a summary of our experiences in Kilkenny. If you know of other Coeliac Friendly places in Co Kilkenny and they are not on our website please tell them about us and let us know for inclusion in the database. Our Facebook page is now very popular and, to date, we have 590 “Likes” which is pretty good but leaves lots of room for improvement! We get a reasonable level of interaction on our page but, again, we would love to see more folk use it to tell everyone about their favourite GF watering holes, support groups, or whatever Coeliac related experience you have had!